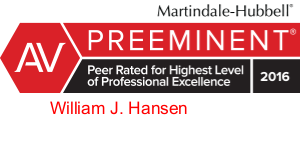 Bill Hansen is one of the most creative and successful personal injury attorneys in Utah. He has obtained extraordinary recoveries in difficult cases that other attorneys were unwilling to handle, and has been able to aggressively identify and pursue claims that other attorneys have missed. Bill is willing to take on matters that require extended litigation, especially for clients who do not have the resources to do so. Bill receives great pleasure from helping severely injured individuals restore their lives after devastating accidents. He has established a reputation as a tough, but fair litigator. One of his largest clients is the Workers Compensation Fund (WCF). 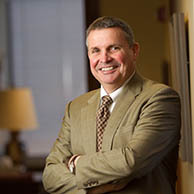 He has successfully handled hundreds of personal injury claims for WCF. Personal injury: Represents injured persons in all types of personal injury cases, at all stages from on-site investigation to trial through appeal, if necessary.